Richard Boccato and Michael McIlroy created the American Trilogy in 2007 while bartending together at New York’s, Little Branch. This Old Fashioned-style cocktail follows the same bitters, sugar, whiskey and orange peel profile as the classic, but uses orange bitters, a brown sugar cube and one part applejack and one part rye whiskey. As the name implies, each ingredient of this three-part cocktail represents one pillar of the Trilogy. 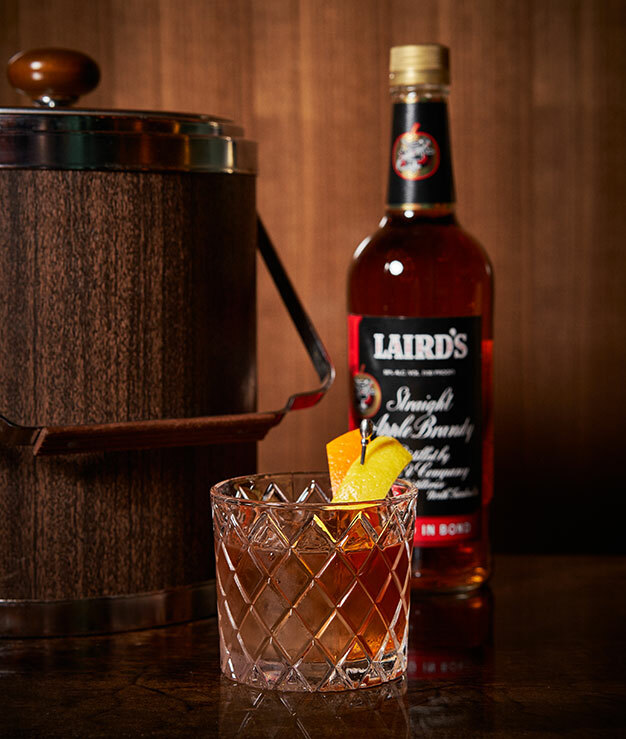 Laird’s Bonded Applejack Brandy is the first and oldest distilled spirit in America with American rye whiskey following soon after in the late 1700s. The third pillar of this cocktail is somewhat of a mystery but according to creator Richard Boccato, is often thought to be the orange bitters because of its American origins.